Meaning ‘the original’ in Gaelic, A’bunadh is made in homage to Aberlour’s founder, James Fleming. A’bunadh is a whisky hand-made from start to finish with each batch being created to ensure a rich and complex flavour of moist raisin, and homemade fruit cake. 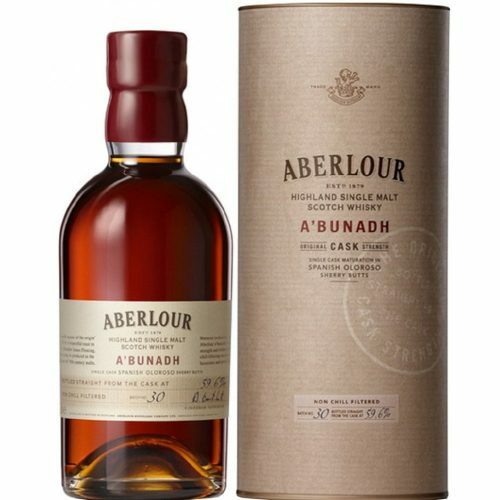 It is bottled at cask strength resulting in a robust and deeply intense, Sherried whisky.